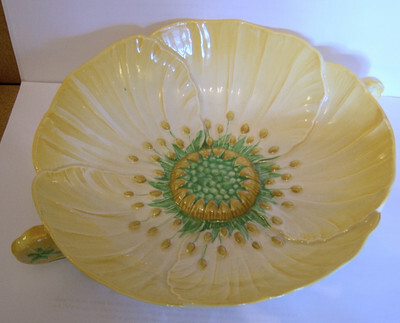 An excellent Salad Bowl in the increasingly popular Yellow Buttercup range of tableware from Carlton Ware. This Salad Bowl is in excellent condition though with the usual evidence of light crazing. It measures just under 10.5 inches (just under 17 cms) in length to include the small handles. As with this series, it is an Australian registered design and backstamped accordingly. Shape number 1478.